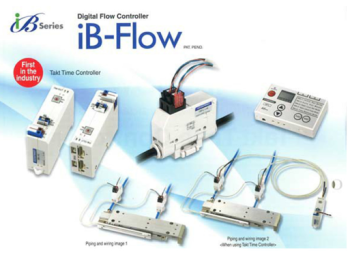 Τhe iB‐Flow assembly uses the first controller in the industry able to provide Real Time Monitoring and Automatic Take Time Correction for up to 16 cylinders. 1. Ability to synchronize up to 16 cylinders – System will automatically make corrections to maintain synchronization at any given time and report causes and corrections required. 2. Α smoother operation even under conditions of variable pressure or cylinders’ sliding resistance. 3. The improvement of the overall take time by stabilizing cylinders’ take time. 4. The continuous monitoring of information related to cylinders’ operating life and cycle time.